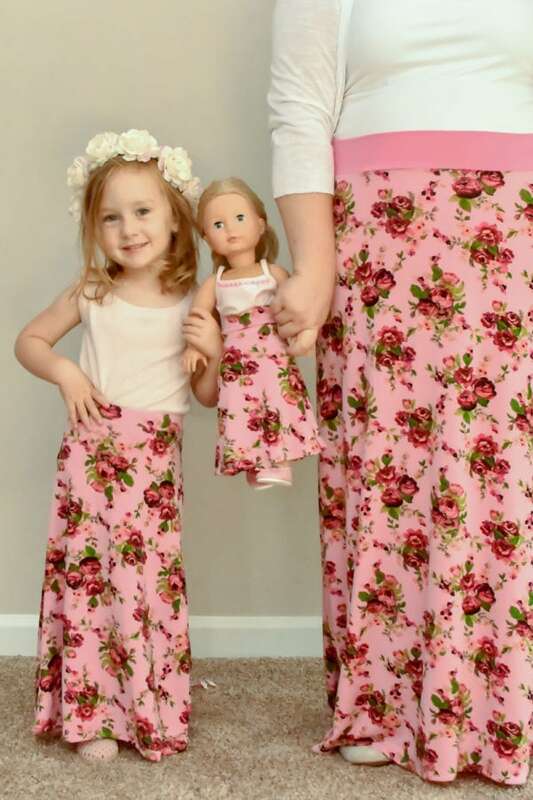 This great value bundle includes Ladies XXS to 5XL, Girls newborn to 12 years and 18-inch Dolls sizing. 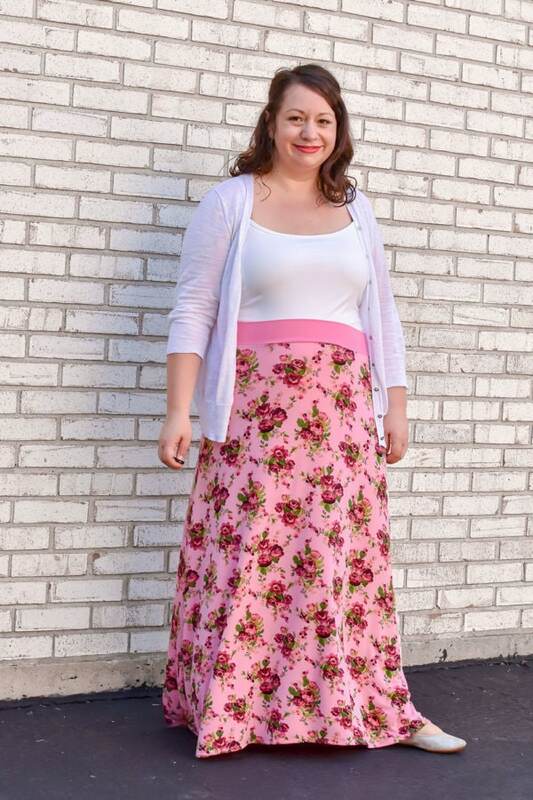 What sews up quicker than you can say “jersey skirt sewing pattern”? Not quite this Stevie skirt but it does come in at a very close second! The lovely and extremely comfortable knit skirt embodies simplicity and style. 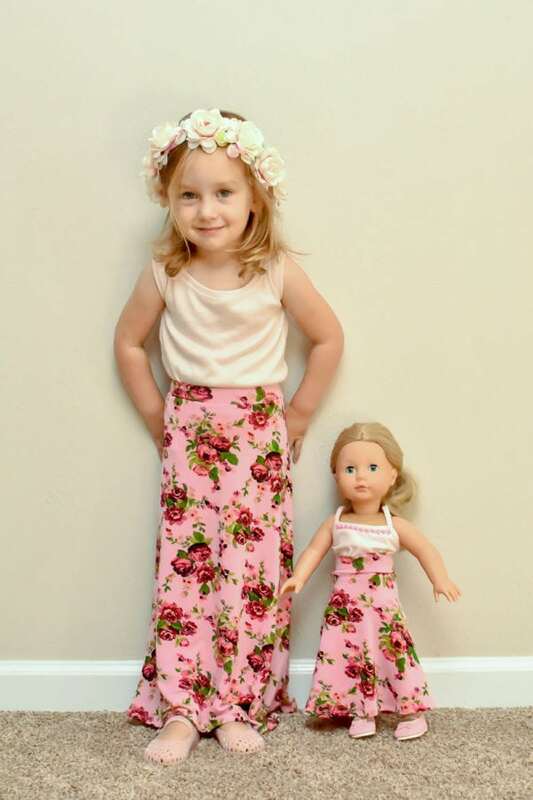 A quick, easy sew, with uncomplicated instructions and basic pattern pieces to get you, your little lady, and her doll skirted and out the door to show off your matching skirts – while fabric shopping for more Stevies-, obviously! 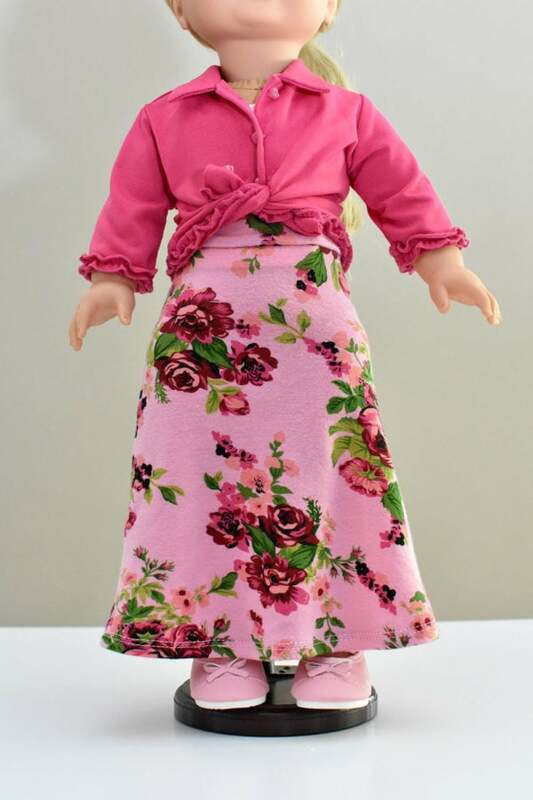 Sizes – Pattern includes ladies’ sizes XXS to 5XL, girls’ sizes newborn to 12 years, and 18-inch dolls sizing. See the size chart in the gallery above. Options – Four different length options (above the knee, knee, midi, and maxi). Fabrics – Suitable for stretchy knit or jersey fabrics. However, best results are achieved with a minimum of 30% stretch. Consider cotton lycra 5%, rayon, viscose, bamboo, ITY jersey, cotton jersey, French terry, hacci sweater knit, interlock, and ponte. See the fabric requirements in the gallery above for yardage. A serger/ overlocker is optional but NOT required. 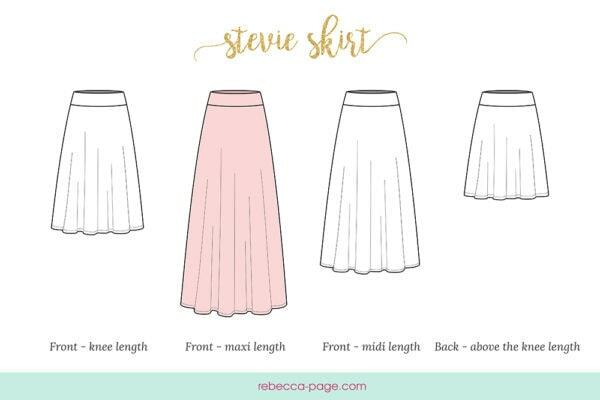 I love the Steve Skirt. 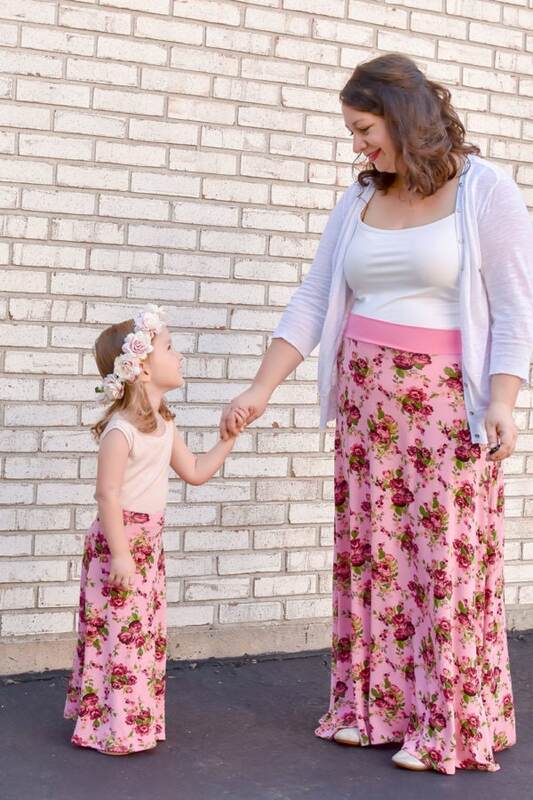 It is a fabulous pattern with tons of length options and sews up super fast. This would also be a great first pattern for anyone looking to learn to sew knits. 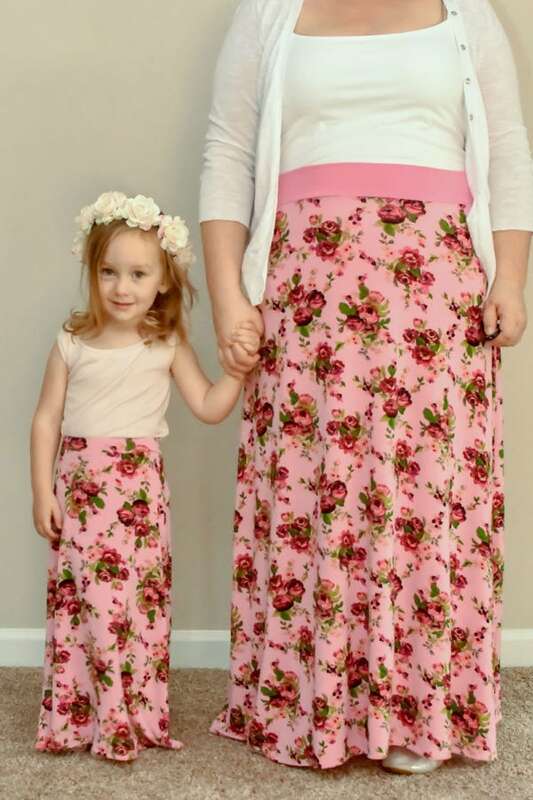 I made matching maxi skirts for myself, my daughter, and her dolly. We feel rather royal in the long length and can’t wait to wear them somewhere special together! 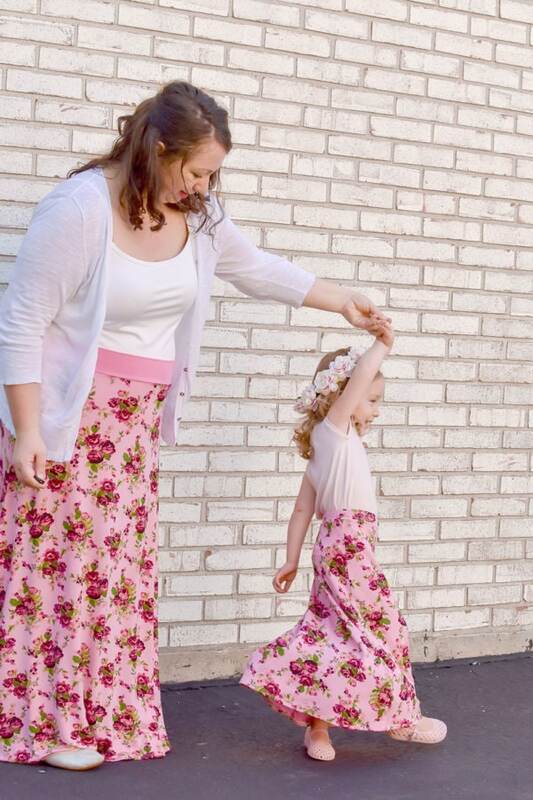 This is a spectacularly easy skirt to fit and wear. Just front, back and band pieces! I really appreciate a quick and flattering project (sometimes even for an instant gratification break during a more complex sew). 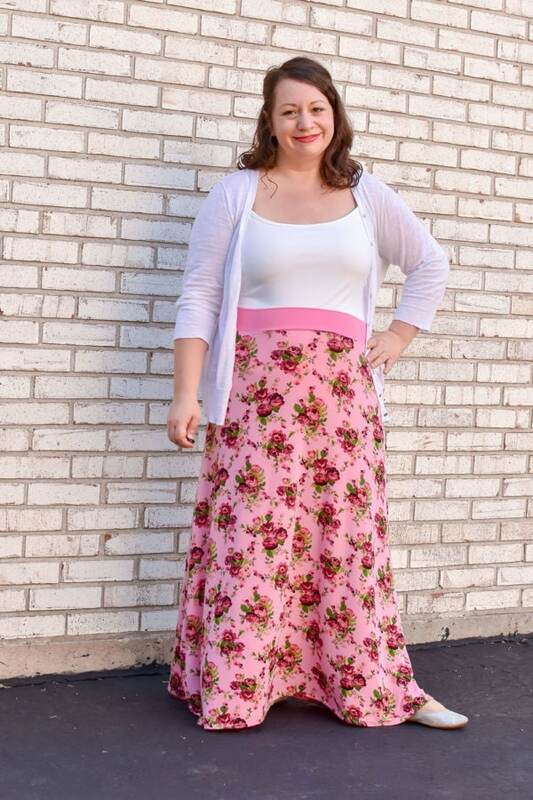 The beautiful swishy a-line shape is fun to wear, especially in maxi length! This is such a fun and fast sew! 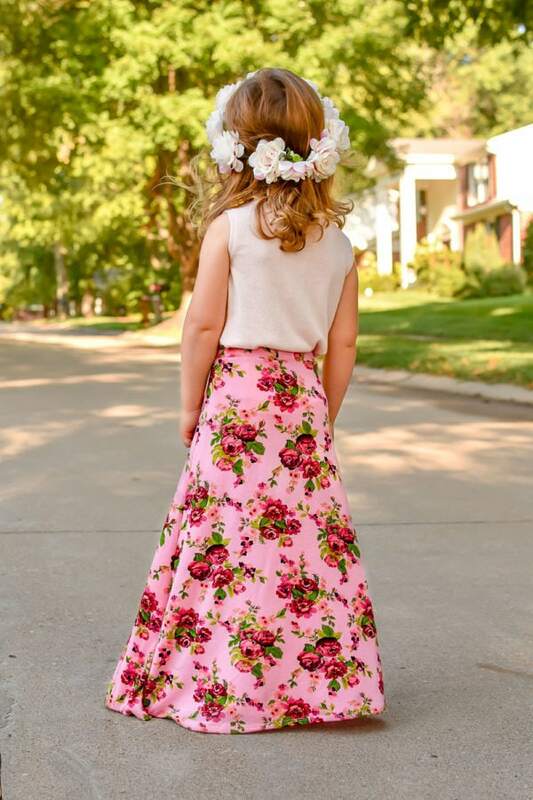 My daughter loves her skirt and has asked for several more for school! The pattern is simple easy enough to follow that she was able to sew most of it herself, which makes her love it even more. I love all the length options with this – such a perfect pattern! 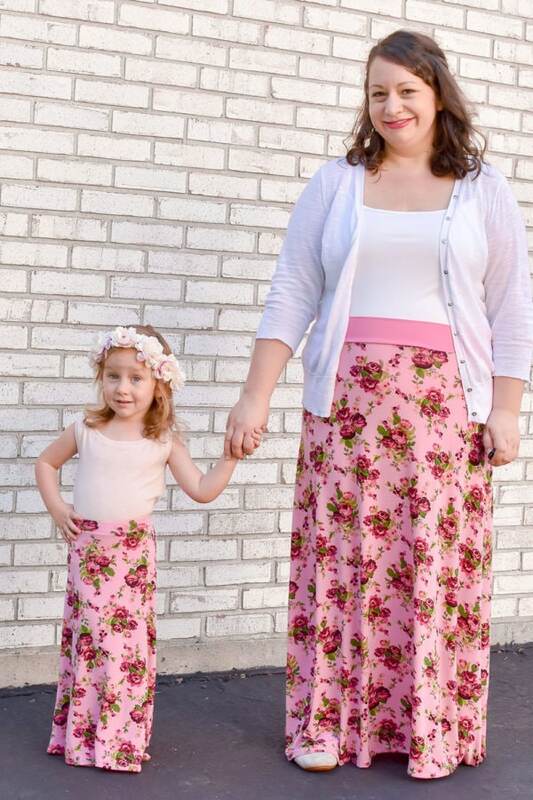 Super quick and easy flattering skirt sew! 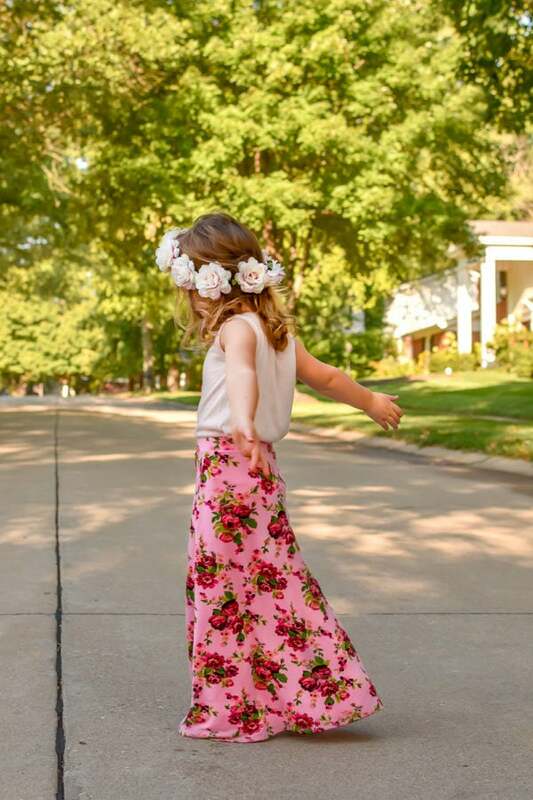 Love that it comes in a maxi length! Such a simple and flexible pattern, I made two of them this month! I can’t wait to hack it more. 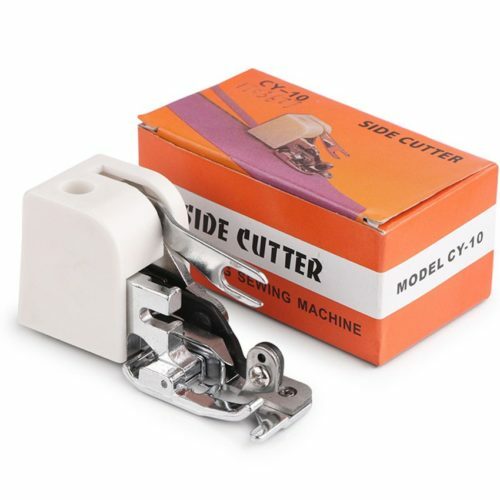 This will definitely be a go-to starting point to me when drafting my own skirts. Also easy to add multiple layers if you’d like to do an under or overlay, so it’s fun to mess with unusual fabrics for this one. 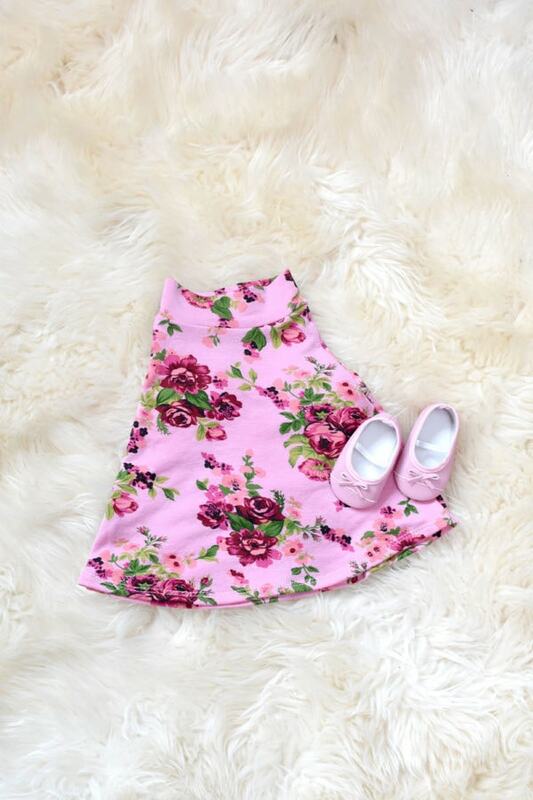 Tag your photos with #rpstevieskirt on Instagram.